oh little boy. i heart you. Rach, your son sort of looks like he is rocking a mullet in this picture. What a precious boy!! Great shot. Oh yeah, that is the beginning of an excellent mullet. Keep it up Finn!! 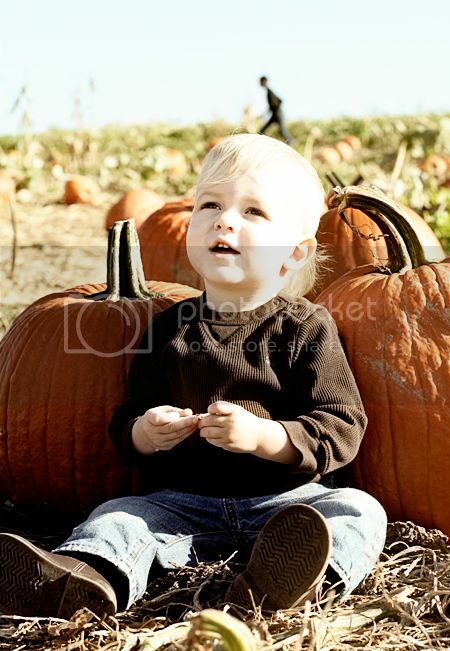 I love Finley and pumpkins. Perfect combo!